Have you ever suffered from kidney stones, or gallstones, where you have cringed in pain for days on end? Did the doctor tell you to that you need surgery to get rid of the stones? While getting an operation is a quick way to eliminate stones, it is not necessarily a pain-safe method. Also, surgery often amounts to expenses that might prove to be a bit too heavy on your pocket. Moreover, an operative procedure does not guarantee that you will never be diagnosed with either kidney stones or gallstones in future. Hence, it is crucial that we bring about certain minor but extremely significant changes in our diet. We should drink at least 10 glasses of water to keep ourselves hydrated, and maintain a regular exercise schedule. While there are definitely certain foods that can help prevent stones later on in your life, you can also remove stones without surgery and keep them at bay with a few easy-to-prepare juices. Here are some suggestions that you could follow if you want healthy kidneys and gall bladder. This smoothie is probably the universal choice when it comes to a remedy for painful kidney stones. It is a blend of lemon, watermelon, orange and apple, all of which are water-rich fruits. It is important we drink loads of fluids to flush out the stones from our kidneys. Also, the citric acid in lemon and orange helps to break down the stones, while the potassium in watermelon causes the broken pieces to dissolve. Your delectable smoothie is ready. Pears are excellent choices for naturally getting rid of gall bladder stones. Most gallstones contain cholesterol in their hardened form, and since a chemical called Pectin, found in pears, helps in the breakdown of cholesterol, this magic fruit makes for a perfect antidote. 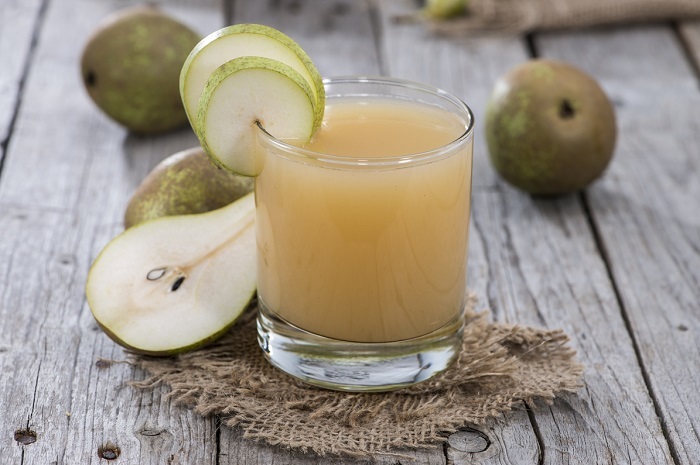 However, it is important to keep in mind that pear juice by itself is not effective enough, and should be combined with honey and water to act on the stones. Mix one glass of hot water with half a glass of pear juice and 1 tablespoon of honey. This concoction needs to be consumed at least thrice a day for best results. Dandelions are little small flowers that can be great, healthy additions to our food. They help maintain our liver by ensuring the organs excretes the right amount of bile, and thus ensure proper functioning of the gall bladder. Elimination of bile from time to time is a brilliant way of detoxifying the liver and hastening metabolism of fat. In this manner, dandelions are quite efficacious when it comes to removing gallstones. These leaves are however not advised by doctors for those who suffer from diabetes. So if you have high insulin levels, please consult a specialist. 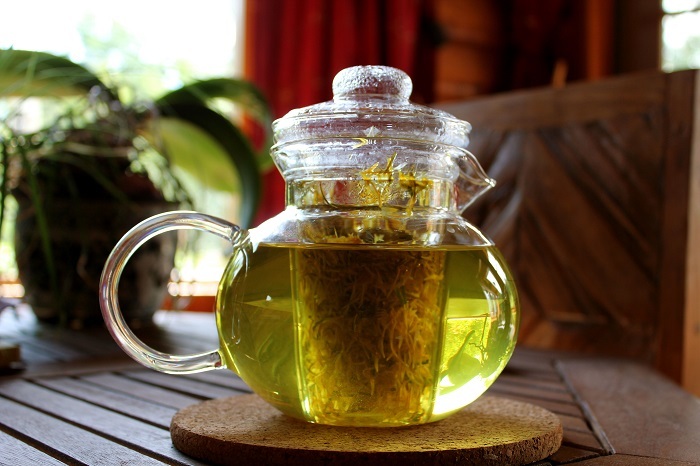 Just like you would prepare green tea, pour hot water over a teaspoonful of dried dandelion leaves. Cover for five minutes before adding some honey. Two cups a day will easily flush out gallstones. The apple is one of the healthiest fruits that Mother Nature has blessed us with. It has a multitude of health benefits, like helping in eliminating gallstones. Apples have a high percentage of malic acid, which has the ability to soften the gall bladder stones. When we consume apple juice, we ensure that it becomes easier for our body to flush out these stones. That’s not all though; apple cider vinegar too is quite fruitful, since it prevents the emergence of such stones by impeding cholesterol formation. 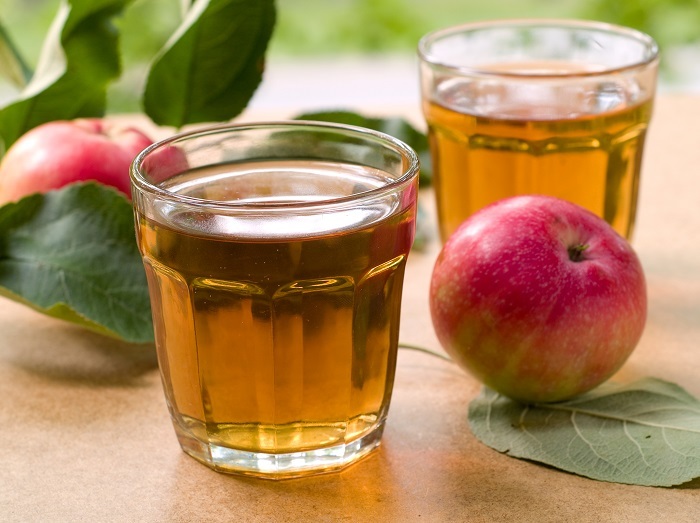 To get the best of both, have a combination of apple juice as well as apple cider vinegar. Preparing the mix is as simple as breathing–combine one tablespoon of the vinegar with a glassful of apple juice. This drink will also give you relief from the excruciating pain that you may experience due to gall bladder stones. Whoever said, “An apple a day keeps the doctor away”, was absolutely right! 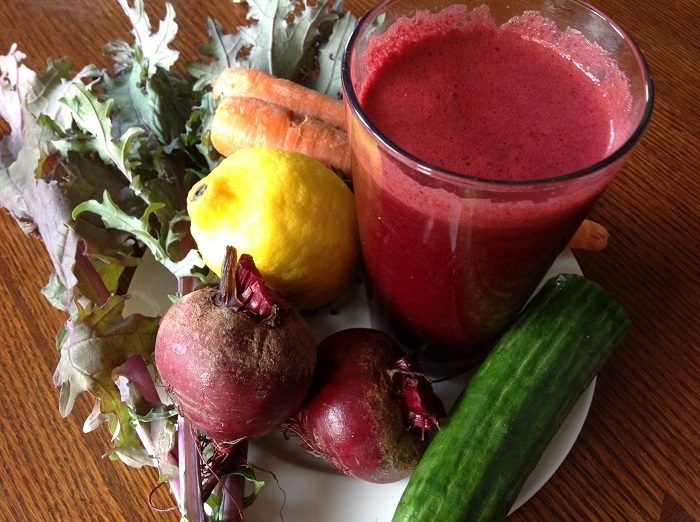 Beetroots are excellent detox agents and cleansers for your liver, colon, blood and gall bladder. Cucumber is abundant in water and hence helps clean out all toxins. Carrots help rejuvenate your system because of the plethora of vitamins they contain. Individually, juicing these vegetables is a great idea, but a combination of all three is a sure shot way of fighting gallstones. 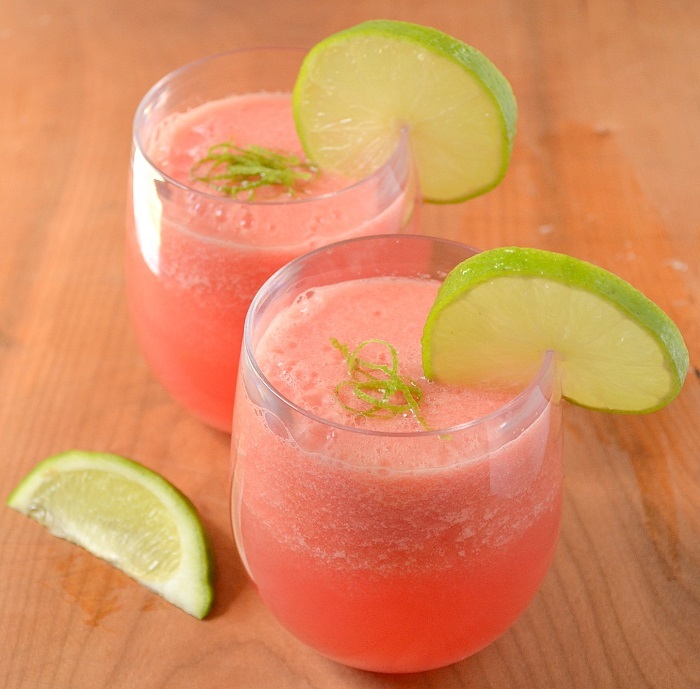 Blend each ingredient separately and then combine their juices in equal quantities. To make your smoothie taste slightly more inviting, you could add a few apples, or maybe a dash of grated ginger. Peppermint oil enhances the process of digestion, by smoothening the flow of digestive juices, including bile. A chemical called terpene, found abundantly in peppermint oil, helps soften and dissolve gall bladder stones. 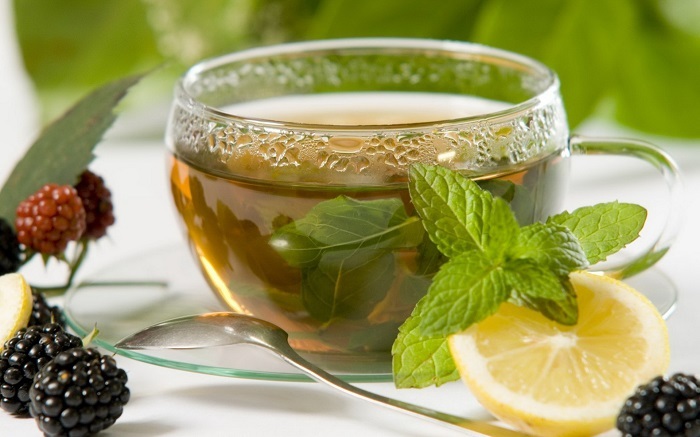 The best way to ingest peppermint oil is by drinking peppermint tea. This herbal tea not only helps remove stones, but also gives you almost instant relief from cramps and aches. In case you don’t like tea, you could take capsules that are coated with the oil. However, if you cannot live without your first cup of tea in the morning, here’s how you make it. Boil water. Add some mint leaves. (In case of fresh mint leaves, it is best to crush them to extract the oil). You can add green tea if you want to. Turn off the gas and let it soak for about 5 minutes. Before straining the tea into a cup, add some honey for taste. Drinking this before meals is the best way to aid digestion. Lemon juice is an alternative for apple juice and vinegar, since the citric acid can dissolve the cholesterol that forms gallstones. 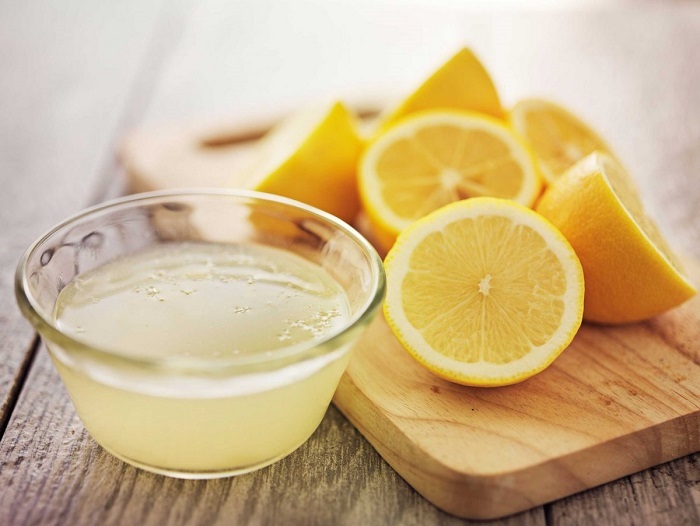 All you need to do is add some lemon juice to a glass of water and drink it at least twice a day. If you have some time to spare, you could also combine 30ml olive oil with 5g garlic paste and 30ml fresh lemon juice. Have this mixture on an empty stomach for the next forty days to ensure complete removal of gall bladder stones. Milk thistle is a flowering plant that proves to be an excellent remedy for stones in your gall bladder. Not only does it completely remove the stones, it also reduces stomach spasms. The easiest way to add milk thistle to your diet is by having a cup of milk thistle tea each morning. Psyllium is an amazing antidote to gallstones, owing to its high fiber content. The fiber attaches itself to the cholesterol present in our bile, hence preventing gall bladder stones from forming. The easiest way to incorporate psyllium into your food is by mixing 1 teaspoon of the husk in a glass of water. 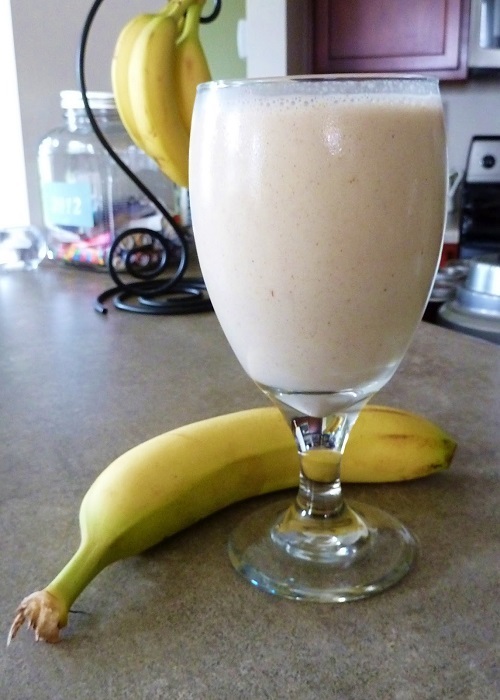 However, you can always add blended fruits to make a tastier psyllium smoothie. Drink this after dinner each night, before you tuck yourself into bed, and be rest assured that you will never suffer from gallstones.